One of our customers - Sid - recently decided to clean the barrel of his Stoeger X20 Suppressor air rifle. Having recently acquired an RWS pellet sampler pack that includes some airgun cleaning pellets, he checked in the Stoeger instruction manual and surfed the web for guidance before using. Nowhere did he find information telling him not to use these RWS cleaning pellets, so he did. He correctly followed the advice available on-line and pushed a couple of the cleaning pellets through the barrel with a rod from the breech end (cleaning pellets are too light to shoot in a powerful spring-piston air rifle such as the X20). Unfortunately this turned out to be a bad idea. The cleaning pellets became lodged between some baffles in the sound moderation system and there they stuck, partially blocking the barrel. Not a good situation! Fortunately Sid is not only careful but also resourceful. He thought carefully before acting. Seeing that the sound moderation baffles are concave from the breech end and not wanting to stuff the cleaning pellets further between the baffles, he was able to blow the pellets back out of the barrel by using an air compressor. He VERY CAREFULLY gave a couple of blasts from the muzzle end with 60lbs of air pressure and the cleaning pellets emerged the way they went in. But as Sid says, “I do believe I got lucky. No change in accuracy after this incident and there’s no noticeable decline in power after 18 hours in the open breech cocked position. Please advise others in the airgun community of this issue so that they don’t encounter the same problem”. Here's the absolute ultimate QB57 up-grade with nickel-plated barrel, gold-plated trigger and more! It's a real labor of love. Just look at the photos!!!! "I'm finished with my first project gun for the most part. It's a QB57 that I got from Archer. There are still things that I want to do to it, but that won't change the appearance of it that much so I decided to take the plunge and send you a few pics. This was my first project of this type. I was really using it as practice before I begin on the QB78 Deluxe that I got from you guys. I'm glad I waited too because I learned a lot working on this one. Among the things still to do, I'm working on gathering the parts and pieces I need to install a laser, but I want to embed it into the front stock of the QB57 so all you see is a small hole in the front. I've worked out how I'm going to allow for adjusting it and switching it on/off, changing batteries, etc. I just need to put my plan into action and hope it works. 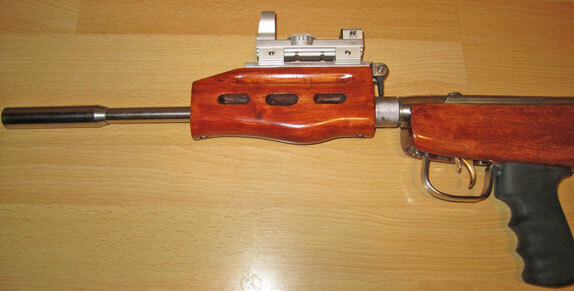 -Nickel/Cobalt plated and polished Barrel, receiver and internals. (Except the inside of the barrel!). -Polished any metal to metal contacts inside the gun for smoother action. -Stripped and re-finished the front and rear stocks using stain and lacquer to seal. -Gold Plated trigger (14k - 24k was just a little too expensive!). -Installed QF2 kit (From Archer) along with all seals and main spring. -Filed down ends of main spring flat and installed Thrust washers for much smoother cocking action. -Installed New hand grip. (Hogue Rubber Grip AK-47/AK-74 Rubber Grip with Finger Grooves. It's not the most comfortable grip, so I'm currently making a new one from wood to replace it with. The rubber one does seem to absorb some of the impact from the spring upon firing). 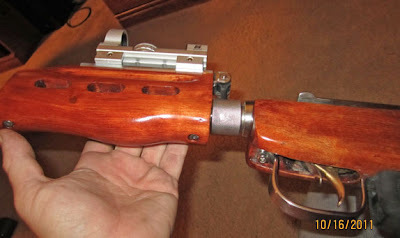 -Created, plated and polished trigger guard (I hate it and I'm working on a new one of these. I rushed the current one as I was running out of time)." Comment from Stephen Archer - well, it looks very good to me! -Replaced all screws and nut(s) with polished stainless steel hardware. -Threaded Barrel and Nickel/Cobalt Plated and tapped muzzle brake for screw-on attachment to barrel. I'm working on installing a set screw for extra hold. (Muzzle Brake is the one Archer sells for the QB78 Deluxe BTW!). There are a few other small things but nothing too important." Jim, thanks for sharing your project with us. It's beautiful. I can't wait to see what you're going to do to the QB78 Deluxe! Archer Airguns introduces its first scope combo for the QB78 family with this new light, fast-handling package that's ideal for plinking. And it's offered at a great sale price of less than $145! The scope is unmounted, but you can easily follow the instructions in my YouTube videos to mount and sight-in the scope. Alternatively, Archer Airguns can mount and sight-in the scope for you, supplying the complete kit in a hard Plano gun case - at an additional cost, of course. 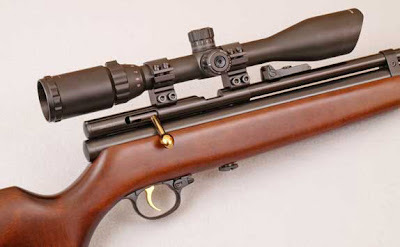 A compact, light scope like this is my personal preference for plinking with the QB78 Deluxe. This combo is easy to use and has excellent handling characteristics. I'm sure you'll find it offers a lot of fun for the money! Is this a QB78 Deluxe, or a Tech Force TF78 Gold? 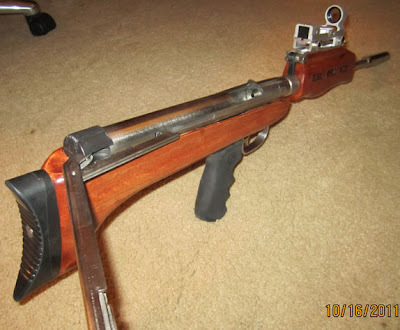 Well, yes we can agree that there's a Leapers scope mounted on the air rifle. But without seeing the other side and reading what's printed on the breech, we can't tell if it's an Industry Brand QB78 Deluxe, or a Tech Force TF78 Gold Series. The reason for this is that they're both actually the same air rifle, manufactured by the Shanghai Airgun Factory and sold under a number of names in different countries around the world. I mention this because people often ask if Archer Airguns carries parts for the Tech Force CO2 air rifles that used to be sold in the USA by Compasseco - and are now available through Pyramyd Air. The answer is an emphatic YES! Just about all Tech Force airguns were, and still are, manufactured by the Shanghai Airgun Factory, but Compasseco named their guns Tech Force (TF) while the factory names for these guns have been based on the QB78 and AR2078 designations. Actually, the different model names are somewhat confusing, so they're listed here as a reference. Confused? Don't be. 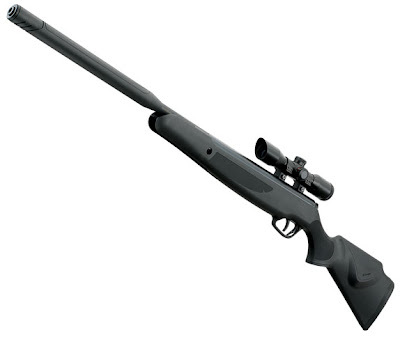 Archer Airguns has parts for your Tech Force CO2 air rifle. 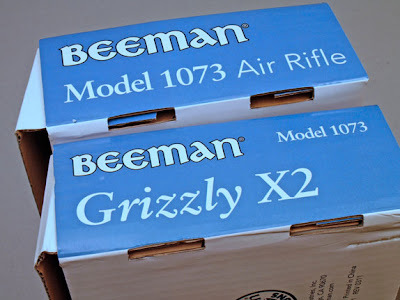 So when is a Beeman Model 1073 a Grizzly X2? Sharp-eyed visitors to WalMart may have noticed that something’s changed about the Beeman dual-barrel air rifles carried in that store. The display packaging used to proclaim that it was the Beeman Model 1073 Air Rifle. Now it shows Beeman Grizzly X2 Model 1073. The price is the same and the box is otherwise very similar, so what’s changed? The answer is, “not much but something useful”! 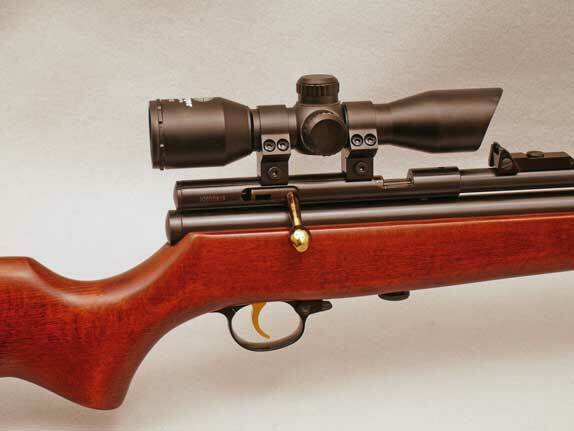 Whether called the Grizzly X2 or Beeman Model 1073, it’s very much the same air rifle. The only change is that the Grizzly X2 is fitted with a protective steel hood over the front sight of both barrels. The Model 1073 featured a simple, unprotected front post that could be damaged if knocked. So if you pick up a Beeman Grizzly X2, you’ll have protected front sights. That’s a worthwhile improvement. 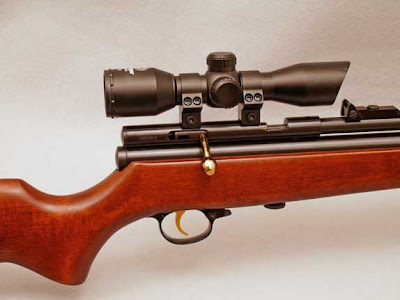 Archer Airguns carries spare parts for both the Beeman Grizzly X2 and the Model 1073 dual barrel air rifles in our on-line store, as well as for the other dual barrel Beeman pellet rifles.